National Human Rights Institutions (NHRIs) - human rights commissions and ombudsmen - have gained recognition as a possible missing link in the transmission and implementation of international human rights norms at the domestic level. They are also increasingly accepted as important participants in global and regional forums where international norms are produced. 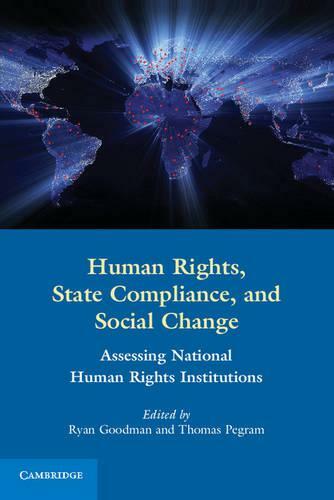 By collecting innovative work from experts spanning international law, political science, sociology and human rights practice, this book critically examines the significance of this relatively new class of organizations. It focuses, in particular, on the prospects of these institutions to effectuate state compliance and social change. Consideration is given to the role of NHRIs in delegitimizing - though sometimes legitimizing - governments' poor human rights records and in mobilizing - though sometimes demobilizing - civil society actors. The volume underscores the broader implications of such cross-cutting research for scholarship and practice in the fields of human rights and global affairs in general.